I’m very glad you’ve joined us. 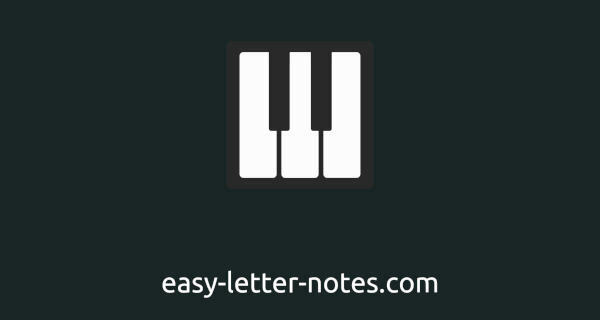 In a moment, you’ll find out the most effective method to learn piano – letter notes! No notes, no complicated theory and no effort needed! Are you ready? Let’s go! 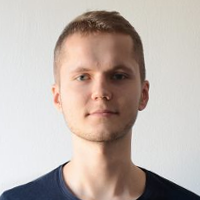 How to read letter notes? Every key on the keyboard (or any other keyboard instrument) has its own assigned letter: C,D,E,F,G,A,B. On our site you’ll find a lot of letter notes – everything you have to do is press the keys in the right order maintaing the right rhythm. Why do letters have different colors? As you can see on the picture above, the keyboard is divided into 5 parts called “octaves”. 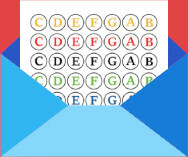 The letters reoccur in each part so in order for you to be able to differ between those parts and press the right key, each octave has different color. Our revolutionary way using colors makes learning of your favorite songs easier and faster! What about the black, shorter keys? Between some of the white keys there are shorter, black keys, which we desribe in the following way: Right side of the „C” key, lies „C#” key (C-Sharp). Right side of the „D” key lies „D#” key (D-Sharp) and so on. Letter note colors also change for these keys depending on an octave you have to play them in. Speed up your learning process even by 200%! You can progress in piano playing even faster if you use our special stickers on your keyboard – you’ll receive them absolutely for free if you >sign up for the newsletter< After you do that your only concern will be to find the right keys on your keyboard! – in just a couple of minutes you’ll be able to play songs you’ve only dreamed about! After mastering the basics, we’ll move on to more difficult pieces. Some pieces require you to press more than one key simultaneously, such technique will correspond to the folling notation: For example (FA) means you have to press down F and A key simultaneously.